My baking mojo has been lacking lately. I think this is part because I have been: a)busy; b) trying not to eat as much; and c) disappointed with the results because of my crappy crappy oven. 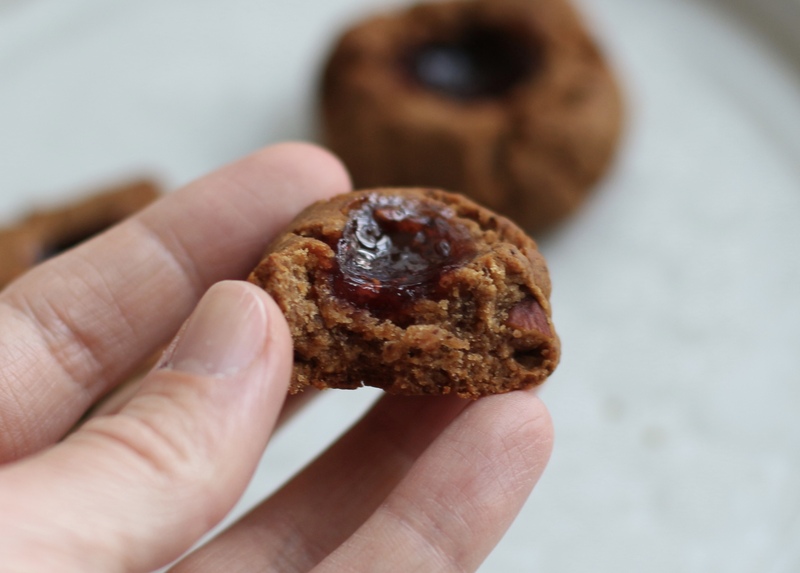 The use of date sugar rather than the white stuff makes these things not very sweet, you even could pretend that they are healthy, with just a little touch of sweetness from the jam on top. 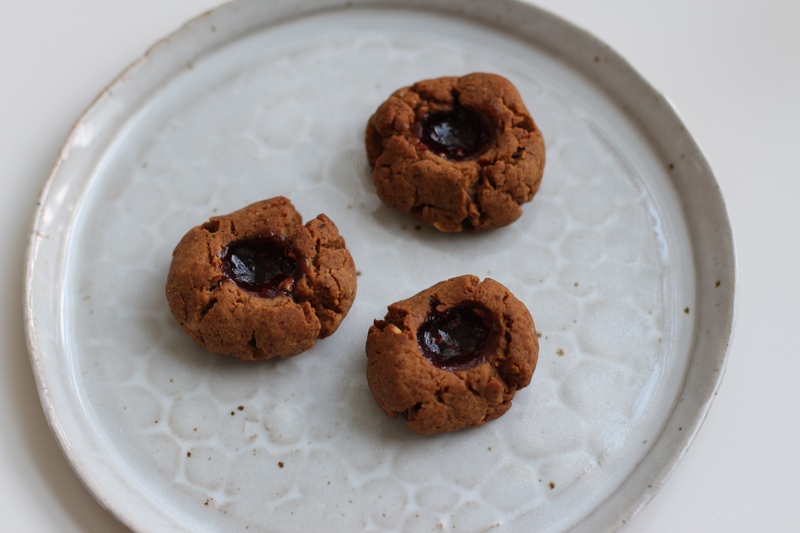 Almond Thumbprint Cookies Recipe – adapted from Vegan Cookies Invade Your Cookie Jar by Isa Chandra Moskowitz and Terry Hope Romero. Preheat the oven to 350F/180C. Line a tray with baking paper. 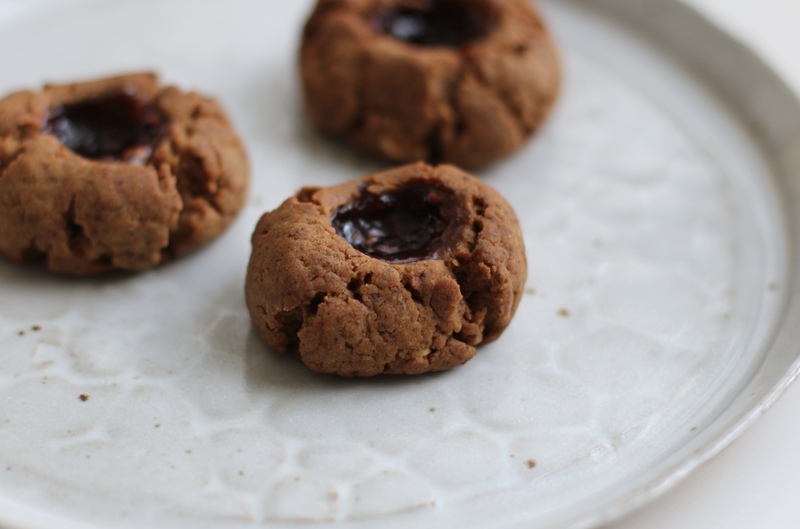 In a large mixing bowl, combine the oil, date sugar, almond butter, almond milk, and vanilla. Add the flour, cornstarch, salt and baking powder, and mix until a stiff dough forms. Form walnut sized balls of dough, and place on the prepared baking sheet (don’t be scared to put them close together, they don’t spread), then indent (or I prefer the term smoosh) the surface with your thumb, or the end of a wooden spoon. Add a small blob of raspberry jam to each indent. Bake for 18 minutes, then allow to cool and firm up for around 5 minutes before removing them from the tray. We’re going hiking today and I think these will be ideal!